Originally from Midland, TX, Bryan has lived in DFW since 2009. After returning home from a deployment following his work in Operation Iraqi Freedom, Bryan and his wife moved to Denton where they both pursued their master’s degrees. 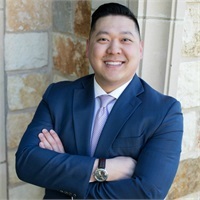 He commissioned as an officer in the Texas National Guard in 2012 and began his career in the financial services industry in 2015. Both Bryan and his wife are active members of the Denton community, a place they cherish and love to call home. Bryan also occasionally serves as an adjunct professor for the University of North Texas.